In 1988, Congress designated May 7 as National Homebrew Day. 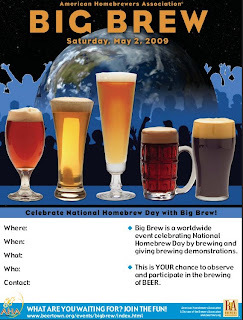 To celebrate the event, the American Homebrewers Association (AHA) created the Big Brew. On the first Saturday in May, groups of homebrewers worldwide meet at designated brewing sites to join in a collective toast and then brew one of several recipes selected by the AHA. The list is predictable and pretty much maps to the major brewing regions, emphasis on NW (Cascades, Chinooks, Hallertauer, Kent Goldings, Saaz). 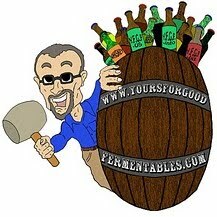 Homebrewer and writer Thomas Vincent at Geistbear Brewing Blog selected Fuggle, Saaz, Hallertau, Challenger, and Cascade. 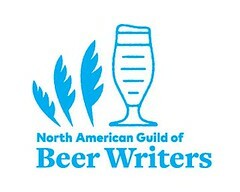 I might add (grapefruity) Cascade as an honorable mention if only for its US brewing ubiquity. But, no, I would not choose some of its pungent US brethren. Please, no cat-litter box aromas for me. Brewer or drinker: what would be your choices?